heat oven to 325º F. With an electric mixer, beat the cream cheese, sugar, and eggs on medium-high until smooth. Mix in 2 cups of the chopped Twix bars. 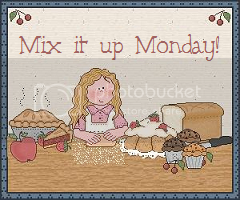 Pour the mixture into the piecrust. Bake the pie until set, 40 to 45 minutes; let cool. Sprinkle the pie with the remaining Twix bars and chill until firm, 8 to 10 hours. Beat first 3 ingredients at medium speed with an electric mixer until blended and smooth. Add egg, flour, and vanilla; beat just until blended. Prepare Batter: Preheat oven to 350º. Bake pecans in a shallow pan 8 to 10 minutes or until toasted and fragrant, stirring halfway through. Stir together 3 cups flour and next 7 ingredients in a large bowl; stir in eggs and next 3 ingredients, stirring just until dry ingredients are moistened. Stir in apples and pecans Spoon two-thirds of apple mixture into a greased and floured 14-cup Bundt pan. Spoon Cream Cheese Filling over apple mixture, leaving a 1-inch border around edges of pan. Swirl filling through apple mixture using a paring knife. Spoon remaining apple mixture over Cream Cheese Filling. Bake at 350º for 1 hour to 1 hour and 15 minutes or until a long wooden pick inserted in center comes out clean. Cool cake in pan on a wire rack 15 minutes; remove from pan to wire rack, and cool completely (about 2 hours). Prepare Frosting: Bring 1/2 cup brown sugar, 1/4 cup butter, and 3 Tbsp. milk to a boil in a 2-qt. saucepan over medium heat, whisking constantly; boil 1 minute, whisking constantly. Remove from heat; stir in vanilla. Gradually whisk in powdered sugar until smooth; stir gently 3 to 5 minutes or until mixture begins to cool and thickens slightly. Pour immediately over cooled cake. Once again it is time for Aloha Friday all to often the week passes by quickly and I am so happy to see that Friday has reached us again. Aloha Friday is a meme hosted by An Island Life where bloggers get together to ask easy questions that other bloggers can give easy answers to. This week I have a question that is easy but one that could help me out greatly. Items for small children like diapers, formula etc.
. FEMA has a great document, Build A Kit, that you can use to get ideas for more items you may need. Use a large Crockpot for this recipe. Serves 10-12 hungry adults with leftovers. Wash and prepare veggies. Dump them into the crockpot. Cut up the sausage into small pieces--I sliced, then cut the pieces in fourths (or dump in the other meat raw as it will cook in the crockpot) Add to crockpot. Cut up the pepperoni, add it, too. Add basil and oregano. Pour in the pizza sauce, and follow with three empty jars of water (or lg can of tomato juice). Cover and cook on low for 7-9 hours for the flavors to meld. Thirty minutes before serving, add the dry pasta. It can take 20-30 min to cook. I prefer to make the pasta separate and let people add it to their soup. Combine salt, pepper and dry spices. Sprinkle half the mix over chicken pieces then cover and chill overnight or several hours. Bring back to room temp to cook. Heat an inch of oil in large cast-iron skillet over medium to medium-high heat to 350°F. Whisk buttermilk with egg. Season with hot sauce, salt and pepper. Pour flour into a shallow dish and mix with remaining spice blend, cornstarch, and baking powder. Coat 4 pieces in buttermilk dressing then flour mix and fry 12 minutes, turning occasionally. Drain on a wire rack arranged over baking sheet while you fry second batch. Serve with hot sauce and honey for topping. 1. Preheat oven to 350F. Lightly grease a muffin tin with cooking spray or vegetable oil. 2. In a large bowl, beat together sugar and egg until light in color. 3. In a small bowl, whisk together flour, baking powder, salt and nutmeg. Pour into egg mixture and stir to combine. Pour in vegetable oil, milk and vanilla extract. 4. Divide batter evenly into 10 muffin cups, filling each about 3/4 full. 5. Bake for 15-18 minutes, until a tester inserted into the center comes out clean. 6. While muffins are baking, melt butter and pour remaining sugar into a small bowl. 7. When muffins are done, lightly brush the top of each with some melted butter, remove from the pan and roll in sugar. Cool on a wire rack. 8. Makes 10 regular muffins. 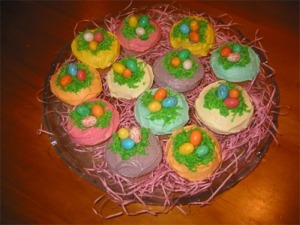 -Makes about 28 Mini muffins – bake about 15 minutes or until a toothpick comes clean. -The donuts will not get very golden brown so check them even if they don’t look done. -For the Cinnamon Sugar combine a 1/2 cup Sugar with 1 tablespoon Cinnamon. 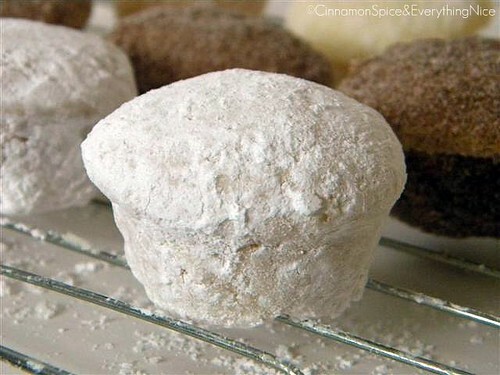 -For the Powdered Sugar I sifted a 1/2 cup of Confectioners’ Sugar and rolled them twice: once when warm and then again after cooling all the way. Preheat oven to 375°. Line rimmed baking sheet with parchment. In shallow dish, combine buttermilk, garlic powder, and black pepper. Rinse chicken breasts and allow to marinade in buttermilk mixture. Meanwhile, combine bread crumbs, salt spices. Dip chicken breasts in bread crumbs to coat. Place chicken breasts on baking sheet and spray with non-stick spray. Bake for 20-25 minutes until coating is crisp and chicken is cooked through. Juices should run clear. 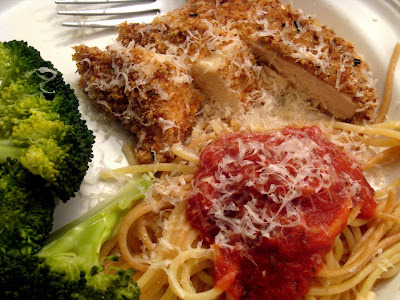 Serve with pasta, pouring sauce over top and sprinkling with cheese. 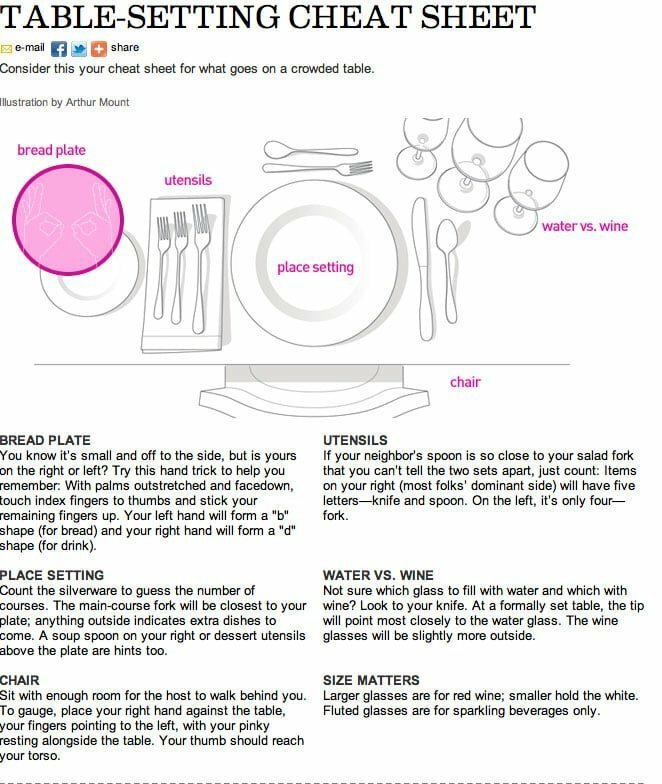 Serve broccoli on the side. Al Dente Pasta is the passion of Monique Deschaine. Monique grew up spending summers soaking up the European culture. Her mothers company of France helped to teach Monique the early love for pasta and the earliest foundation for the creation of Al Dente Pasta. Monique spent many hours rolling out pasta with her husband Dennis in a friends kitchen hoping that the pasta would dry before the next sunrise. The dedication to taste and quality for Al Dente pasta has not changed from those early days. The pair of Monique and Dennis created a "tender but firm" Northern Italian style pasta that cooks up to al dente perfection in a mere 3 minutes. That three minutes should spark the interest of busy wives and moms like myself. We know that the day goes fast and that time is a precious commodity. If we can find some where we can save time in our busy schedule then all the better. In fact if that extra time can help create a wonderful tasty meal for my family then not only am I happy but so is my hubby and family. 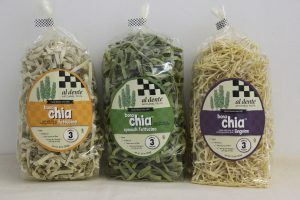 Al dente Pasta offers a variety of products to the market of delicious Italian foods. They have delicious pastas, sauces, and gift packs as well. We were able to try a few of their newer products including whole wheat linguine, BonaChia and Spinach Pappardelle. Several of these products were new to my family but they were eager to taste some delicious pasta as much as I was and so we set off on an adventure to prepare some delicious pasta that as a family we would dine on. BonaChia is what I would consider a short little pasta that packs a big bite. I loved how easily it cooked up ad provided us with a taste that we all enjoyed. The Papperdilla at Al Dente Pasta comes in a variety of flavors including egg noodle, garlic and herb and the one we received spinach. Yummy for sure. We used a recipe off of the Al Dente website and enjoyed it very much You should try the Roasted cauliflower, pepper and Serrano ham recipe as well. I can tell you that you would be pleasantly surprised with the delicious taste it packs within the pasta and veggies. If you are like me and would not be able to choose just one then perhaps you should check out the Al Dente Gift Packs. They make great gifts for others as well. Thinking about the next wedding gift or home warming gift that you need to give? 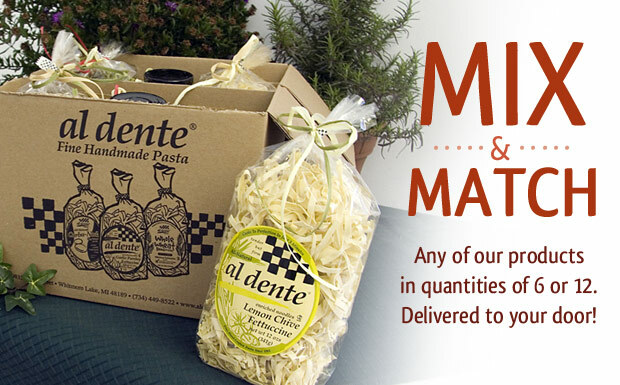 Check out Al Dente Pasta gift sets. Win: One of annies home readers will win a prize pack consisting of the three pastas that I was able to review. We received a sample of Al Dente Pasta as part of a review promotion. The words shared in this post are those of mine alone. > therapy for me. I will tell you though, I am not much of a baker. I can cook anything you want me to. From Italian to Chinese to Polish; ANYTHING. Now, when it comes to baking, that's a different story. I have to go strictly by the recipe. I have to measure precisely. I get very anxious and nervous when I'm baking, always scared something is not going to turn out right. I have recently started to venture out and bake stuff from scratch. I've made a chocolate chess pie. Can I tell you? IT WAS AWESOME. I will definitely pat myself on the back for that one. The next thing I tried to make, was a flan. Very difficult. You have to have a lot of patience with that one. You have to melt butter and sugar in a pot until it's liquefied. You pour that very hot mixture around the edges of a small baking dish. I guess it's so the actual flan will not stick to the pan. It was one of the most difficult recipes I have ever tried. It didn't turn out the way I wanted, but you live and learn. I don't think I will ever try make it again. I was getting really stressed out about it, then I was upset because it didn't turn out the way I was expecting. What I am excited about baking is a cheesecake. From scratch. Hopefully that will turn out a lot better than the flan. Gourmet Gift Baskets.com has some wonderful treats that many would love. As many of you know I am the mother of 6 children and grandma to two. I often give gifts to them because I love them. 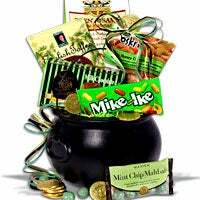 With St. Patricks day approaching so speedily one gift that I saw and thought about gifting my grandchildren with was this St Patricks Day Basket. Several of my children would feel grateful for a gift of delicious cheesecake. I so love the fact that there is such a grand variety available. 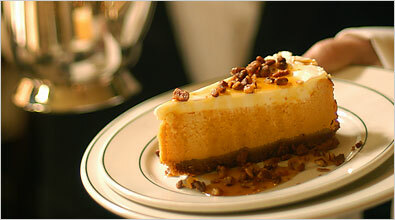 There are store and factory prepared cheesecakes. If you like to be a bit gourmet yourself and would like to prepare your own cheesecake there are many variety and great recipes for this as well. Whether you like a simple down home style or a gourmet style cheesecake with luscius sauces for special occasions the choice is yours I myself believe that I may have to make up a simple cheesecake after writing this post simply becaus my taste buds and sweet tooth have started craving it.